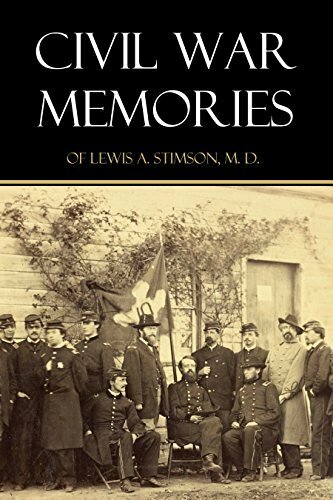 Lewis Stimson was an aide to General Alfred Terry during the war and went on to a prominent career afterwards as a well-known surgeon, author, and educator at Cornell University. His talent for capturing the kind of details that make Civil War writing fascinating is much to his credit and to our great fortune. His son would later be Secretary of State under President Hoover and Secretary of War again under Roosevelt and Truman. But the father left us one of the best short memoirs of the period from the center of the scene of action.